Beautifully trimmed Wisconsin baby loin chops. Perfect for the grill - season with rosemary, white wine and garlic. On a plate, stir together oregano, 1 tablespoon lemon juice and 1 teaspoon oil. Dip both sides of lamb chops in mixture to coat and put on rack of a broiling pan, seasoning both sides of chops with salt and pepper. In a bowl, stir together olives, tomato, onion, parsley, zest, remaining teaspoon lemon juice, remaining teaspoon oil and salt and pepper to taste. 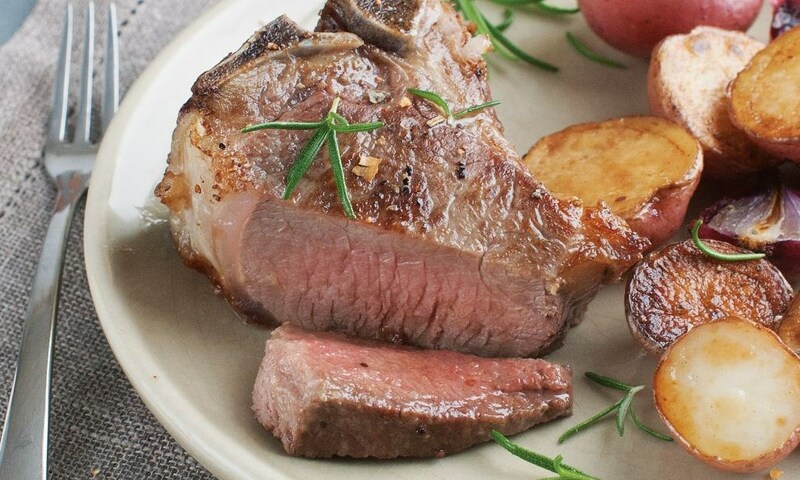 Broil lamb chops 2 inches from heat 4 to 5 minutes on each side for medium rare meat. Spoon olive salsa over lamb chops.